Optional - strawberries and mint leaves. Dinner knives and chopping board for preparing the fruit. If you have strawberries and mint leaves wash and prepare the fruit. 1. Mix the juices together in a jug or bowl. 2. 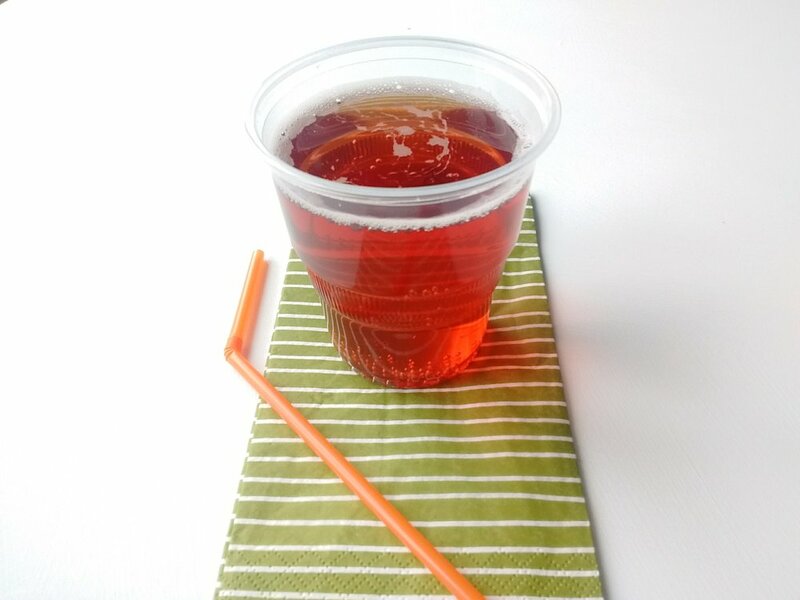 If you have strawberries and mint leaves place a leaf and a few pieces of fruit in each of the empty cups. 2. Pour a ladle of punch into each cup. If appropriate offer the punch to the adults after the service. 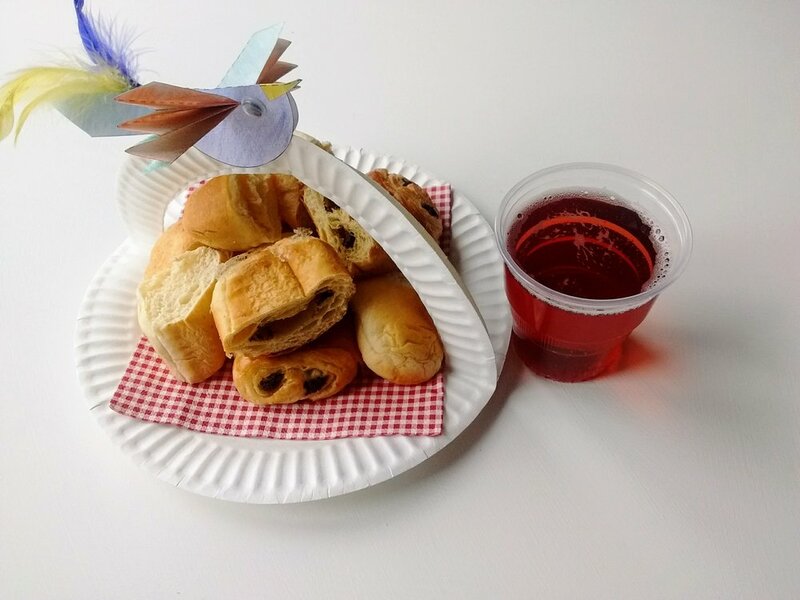 Ask the children to talk about the Bible stories they heard today as they serve the punch. Before the session make a sample basket so the children know what they are making. 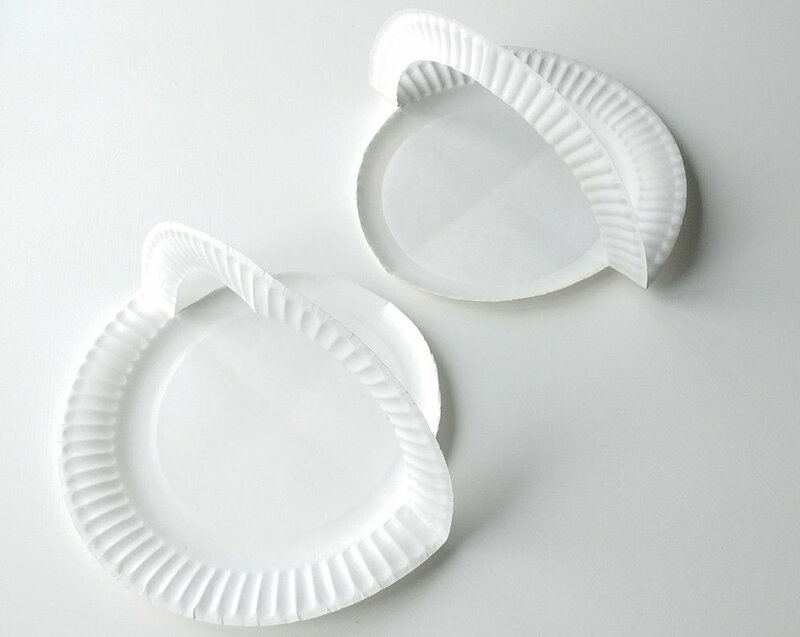 For younger children you may which to cut around the rim of the plate and cut out the bird templates in advance. 1. 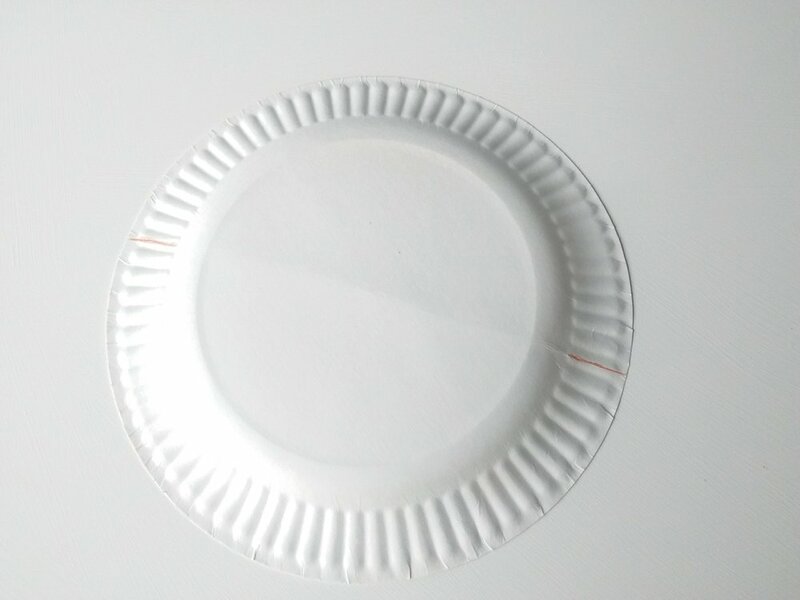 Lightly fold the paper plate in half and mark the half way points on the rim of the plate. 2. 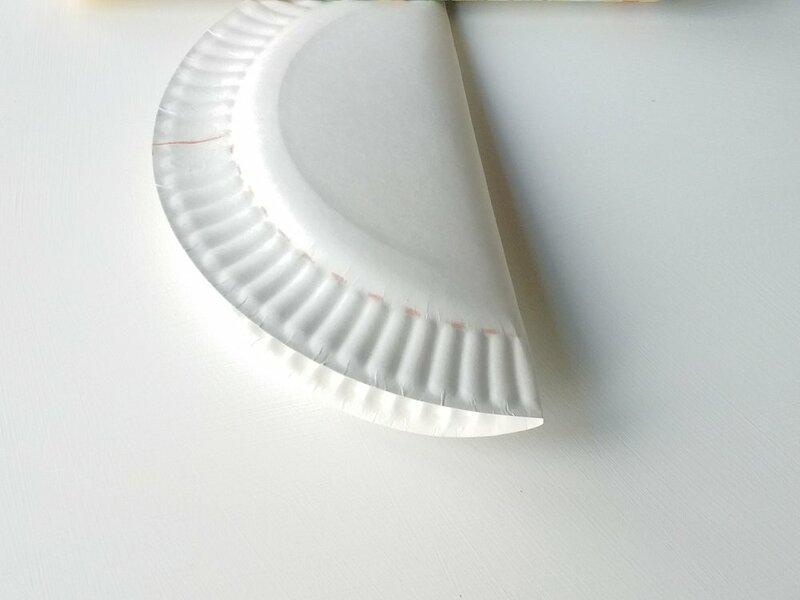 Lightly fold the paper plate in half the other way and cut around the inside of the rim - cutting up to the lines you have just made. 3. 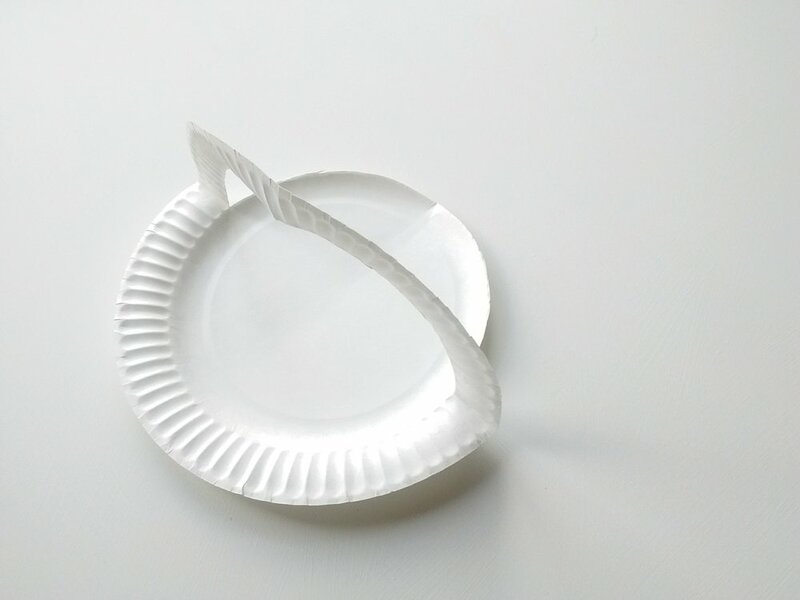 Fold up the rim of the plate to make a handle. 4. Repeat steps 2-4 with a second plate. Slide the second plate on top of the first. 5. 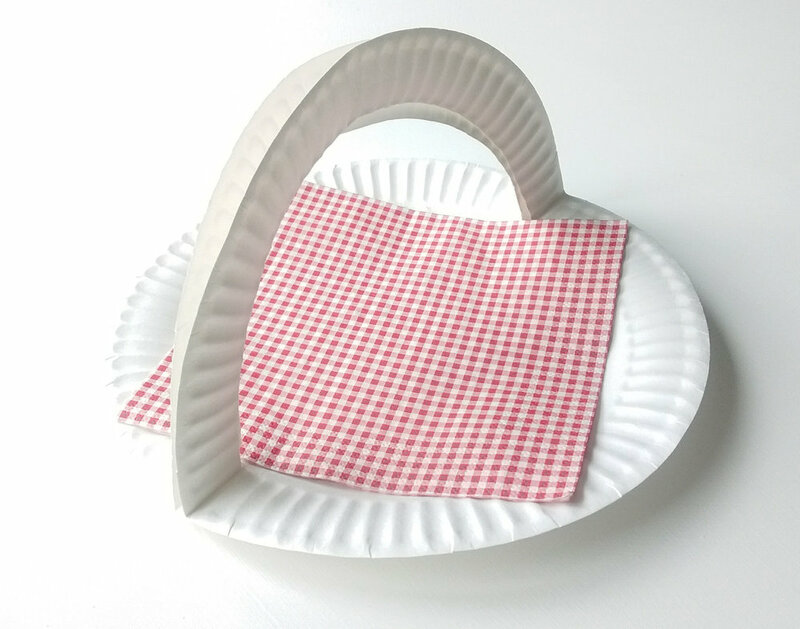 Place a napkin on the flat surface of your basket. 6. To make your bird, colour in and cut out the templates as shown in the picture. Fold along the dotted lines. 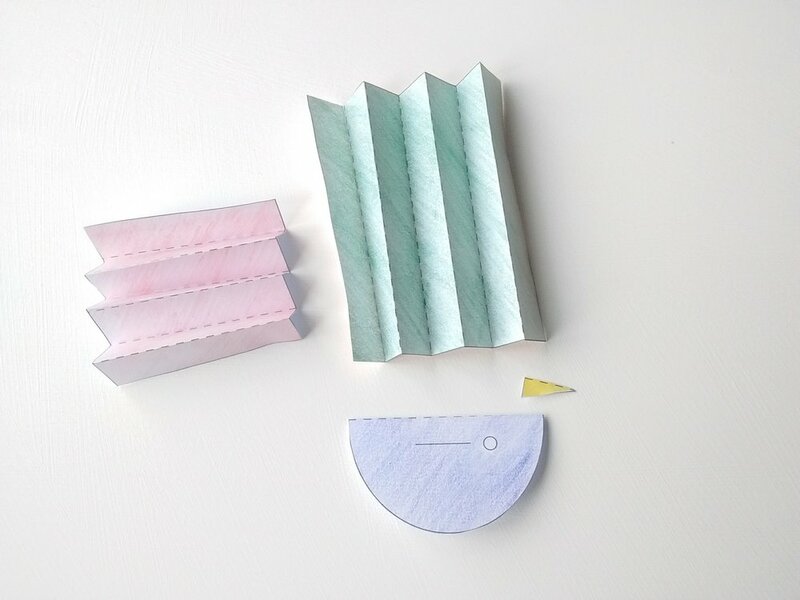 You will need to concertina fold the wing and the tail. 7. 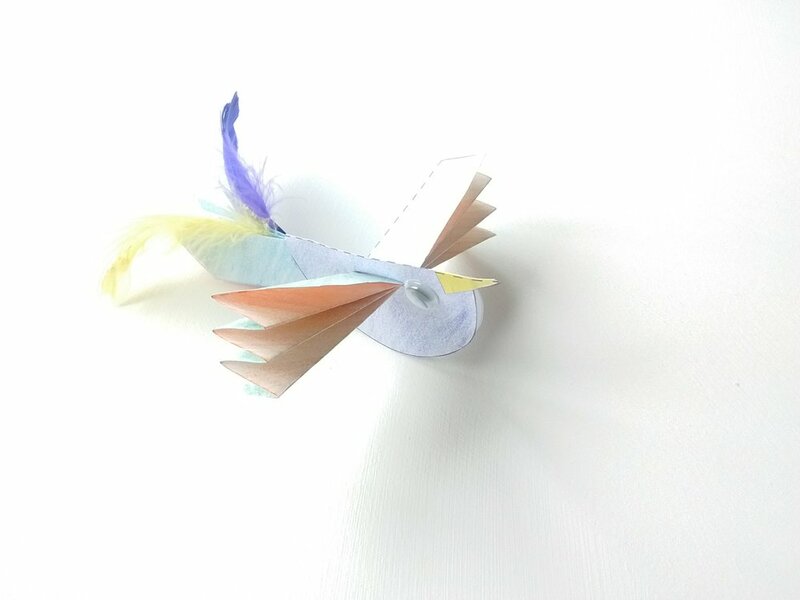 Cut along the solid lines in the middle of the bird's body and feed the wings through the slits. Glue the beak and tail in position. You may find it easier to secure the tail with a paper clip. If using, add googly eyes and feathers to your bird. 8. 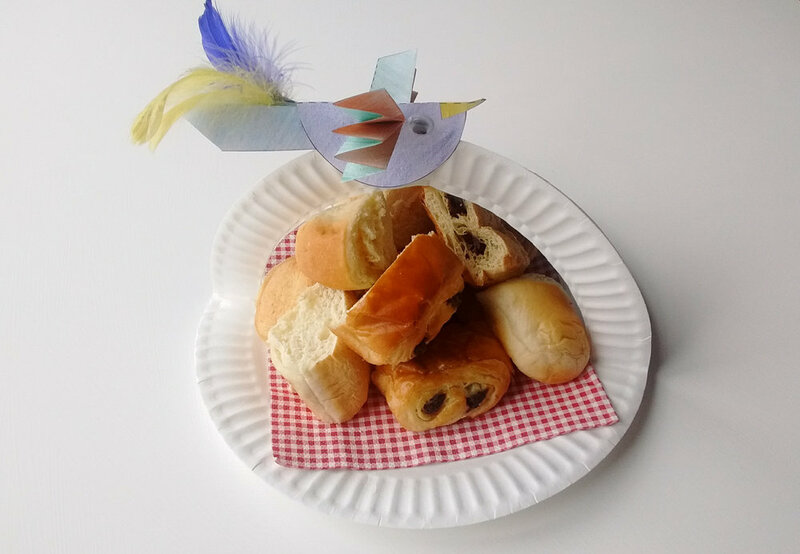 Use the dinner knife to cut up the croissants and brioche and arranged the pieces on top of the napkin. Slot your bird onto the handle of the basket and serve your baked goods with the grape punch.